Fedora (formerly Fedora Core) is an open source Linux distribution initially released on 2003. It's a fast, stable, and flexible operating system developed and supported by the Fedora Project, an open source community formed as a partnership between Red Hat (trusted provider of open source technology) and volunteer contributors. Fedora is based on RPM (Redhat Package Manager) Linux having two types (Deb/Rpm). The operating system is integrated with a wide range of packaged software and applications such as Firefox, LibreOffice and many other - to provide enhanced abilities and functions. 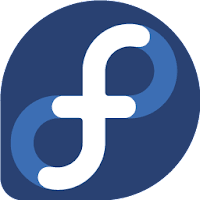 Fedora utilizes GNOME for its desktop interface and includes, among its other new features and additions, UEFI Secure Boot support, KDE 4.9, Xfce 4.10, improved Active Directory support, and the OpenStack Folsom open source cloud platform. Workstation Edition is a polished, easy to use operating system for laptop and desktop computers, with a complete set of tools for developers and makers of all kinds. Server Edition is a powerful, flexible operating system that includes the best and latest datacenter technologies. It puts you in control of all your infrastructure and services. Note: Download alternative desktop environments - Spins. Disclaimer: Direct downloads for the lastest version of Fedora 25 are provided by the official software's author, we can't guarantee safety, availability or download speed. Moreover, we don't and we won't provide any pirated/illegal versions or tools. We recommend you to avoid it as these methods can harm your device. If you like the software, buy it to support the developers. (We provide software discounts for many worldwide brands).